We have two preschool programs for 4-5 year old groups – Blue group and Green group – which are Government Funded programs that children attend in the year before starting school. Each group attends for a total of 15 hours each week and there are 22 children and two staff in each group. 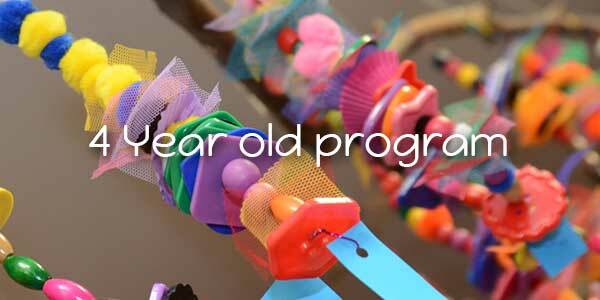 Our 4 year old preschool programs are designed and implemented by qualified Kindergarten teachers and Co-educators. Staff work closely with families, openly communicating and displaying objectives of the planned program. Each child’s learning is documented in a portfolio which parents are welcome to look through at any time. Program reflections, which are part of our planning cycle, are also placed on display so families can see or read about how we are achieving our objectives. Children in Blue and Green groups participate in a range of incursions and excursions during the year. A range of incursions is included in the fee structure and may include drama workshops, visits by zookeepers with a range of animals or puppet shows. These are planned specifically to support learning objectives and children’s interests. We also enjoy close ties with the local community, enjoying visits from the CFA, local dentist and police. Vision screenings are offered by a local optometrist each year, free of charge to families. Pee Wee sport, a physical education program run by an external company, is a highlight of the week for the children during Terms 2 and 3. We walk across to the local primary school for this program, which focuses on gross motor skills, coordination, ball games and team work. Children enjoy borrowing from our library each week, supporting a love of reading and early literacy development. We also participate in the Premier’s Reading Challenge for early childhood centres.